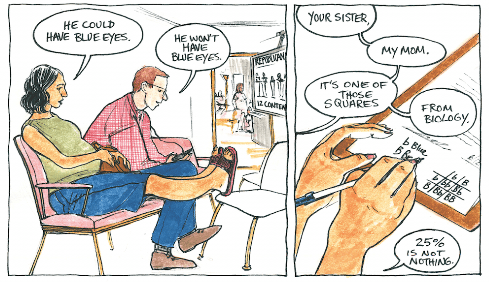 Check out comics by Rachel Masilamani, Glynnis Fawkes, Stuart McMillen and more. Today we’re rounding up the best comics we’ve seen online in the past few weeks. If we missed something, let us know in the comments below. In Who Does He Favor? Rachel Masilamani meditates on family, heritage, and the impact that Donald Trump’s election (and the attitudes that allowed it) will have on her infant son. You can see more of her work at Mutha Magazine.